The most important change to the new Photoshop is how it functions in Creative Cloud. Adobe’s Creative Cloud is a monthly subscription service that provides subscribers with different levels of access to Adobe’s suite. Subscribers can pay to use Photoshop alone, or sign up for a package plan, which includes additional applications. By utilizing the cloud, Adobe is able to keep subscribers’ software up to date without a hitch. The cloud also allows members to save their personal settings and up to 20GB of stored data. This allows subscribers to access their projects from any computers. This cloud-based software also makes it easier for users to collaborate and share projects, offer feedback to one another, and work with other CC users. Adobe has gone to great lengths to improve the picture quality in Photoshop CC. This software includes a variety of features, such as Camera Shake Reduction, Blur Reduction, Perspective Warp, and Smart Sharpen, which are all designed to specifically improve picture quality in your projects. Combined these features are a great improvement over what is offered with Adobe Photoshop. Another great feature of Photoshop CC is the ability to work with 3D images. 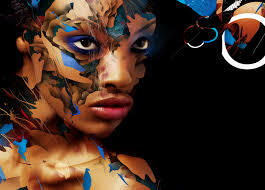 The software includes special features, such as Live 3D Painting and Layer Projection Painting. This enables the implementation of special 3D effects, such as refraction and shadowing. In its latest update, Photoshop CC also includes the capability to print 3D objects through its software. This allows you to instantly print your model to a special 3D printer or order a 3D model through an online service. Photoshop CC also allows you to quickly link smart objects to any Photoshop document. You can even link external files that are stored on your network drive or local system quickly and easily. Even more importantly, you can update these files once and it will automatically update the file in all the Photoshop documents that use this image. For example, if you make a slight change to your company logo, the change will be made across all Photoshop files and eliminates the need for you to go in a make the change manually with each file. You are able to determine when and how to update and make these changes. The new features included with Photoshop CC will greatly increase what you can accomplish with Photoshop. It is, however, very important to understand all the new features so you can maximize your use of this software and improve the quality of your project. A Photoshop CC training course can detail all the changes in Photoshop CC and help you learn how to implement these new features into your projects. Whether you are new to Photoshop CC or having been using it for a while, a training course can show you how to use properly use all the great features included with this software.